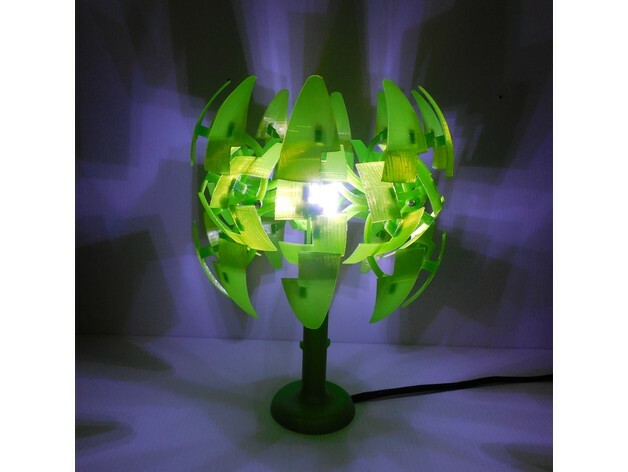 SuperNova Desk Lamp #3Dprinting #3Dthursday « Adafruit Industries – Makers, hackers, artists, designers and engineers! elefantman shared this project on Thingiverse! This is my take on the Ikea PS 2014 lamp. After looking for a small desk lamp in this style I decided to draw it myself. It stands 230mm tall and is 150mm diameter. This looks great and works very well. You WILL need patients and a well calibrated printer. I have included STEP files also to help you change/remix if you wish. The SolidWorks files will not be available as I use custom macros to drive is all and they will not work for you. Included is a PDF build manual with lots of pictures.